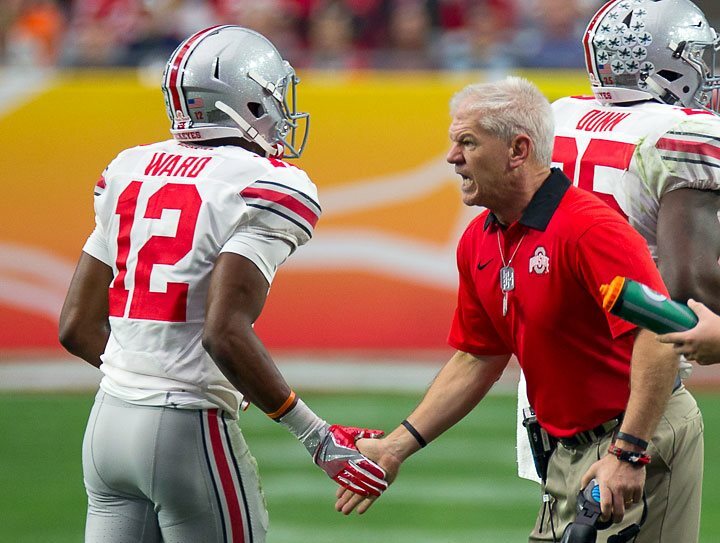 2015: Was one of only four scholarship freshman to get playing time for the Buckeyes last season …he was a key special teams performer who played in 12 games … he totaled 196 plays on the season with 175 of those on special teams to earn his first Varsity O letter … one of the fastest players on the team, he was clocked running 21.8 miles per hour on special teams coverage in the Fiesta Bowl against Notre Dame … Ward had high games of 26 plays vs. Rutgers, 23 vs. Indiana and 20 vs. Notre Dame … he was one of the top tacklers on special teams with seven total stops. More on Denzel: Ward helped lead Nordonia to a 14-1 record and the Division II state championship game in 2014 by starring on defense with nine interceptions and 18 pass break-ups and on offense with more than 1,300 total yards and 20 touchdowns … named the Division II co-defensive player of the year and a first-team Associated Press all-state selection for coach Jeff Fox … also named Cleveland.com’s defensive player of the year … totaled 14 interceptions in 2013 and 2014 combined plus had 93 receptions and 31 receiving touchdowns … rated a 4-star prospect by Scout and 247Sports and was ranked respectively by those organizations as the Nos. 22 and 26 cornerback prospect … rated as high as No. 171 among all players by Scout … a PrepStar all-Midwest Region …caught 37 passes for 658 yards and nine touchdowns for 8-3 team as a junior … possesses tremendous speed – including published reports of a hand-timed 4.31 40 – and is a multiple state qualifier in track and field as part of Nordonia’s 4×400-meter relay and as a long jumper … is the son of Nicole and the late Paul Ward.